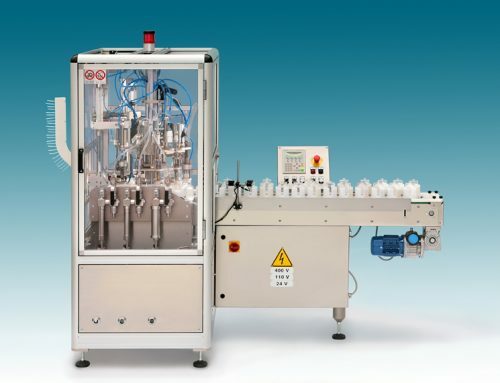 Automatic perfume crimping and filling production line with two operating units, LA3 has been created to assure as much flexibility as possible for perfume production. The machine is composed of two well-protected operating units, situated at boths ends of a closed circuit in which perfume bottles, loaded in a set of pucks, are moved by a conveyor belt. 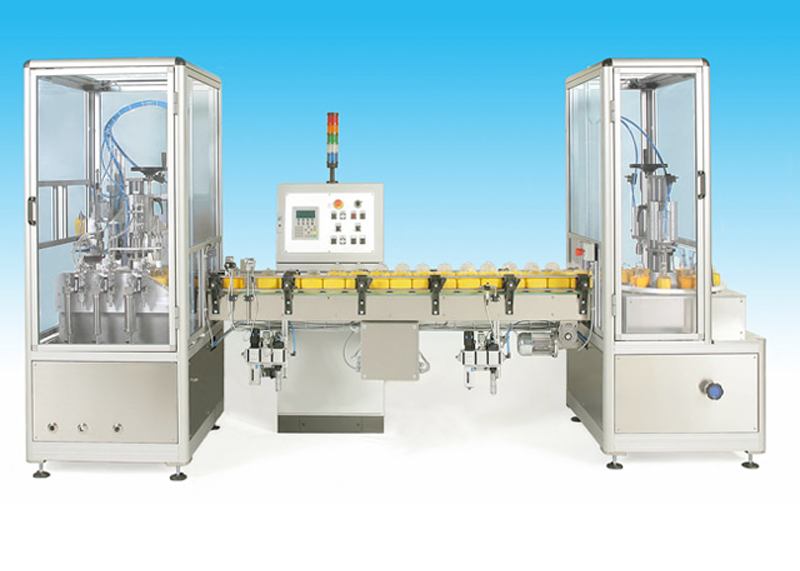 The first operating unit supplies automatic crimping and filling operations. 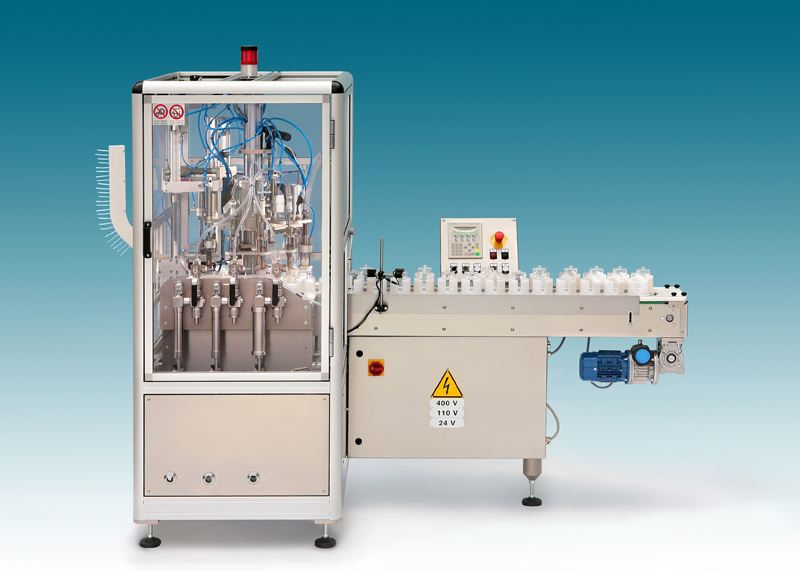 Bottles transport on the conveyor belt (between the two units) allows you to check your production and to place manually additional pieces that will be worked in the second operating unit. With its flexible plexiglas protections, the second machine is actually designed to insert optional devices. If your production does require a reduced number of pieces, you are free to work with only one machine, excluding one of the operating units.